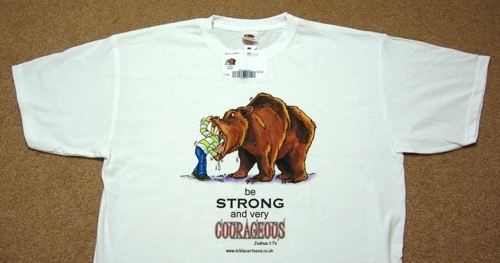 The Courageous Lion was the first design in this series. I then decided to follow up with other animals. I like the grumpy expression on the Grizzly Bear! 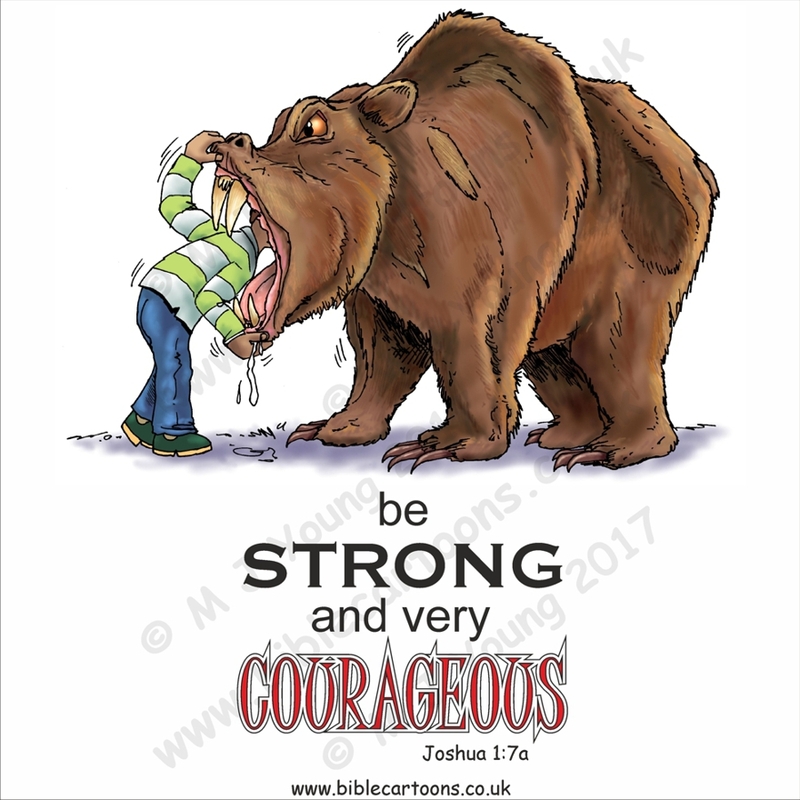 This design has been promoted at a Christian conference and is now made exclusively available here on the Bible Cartoons website.